Happy Christmas Donald !. . 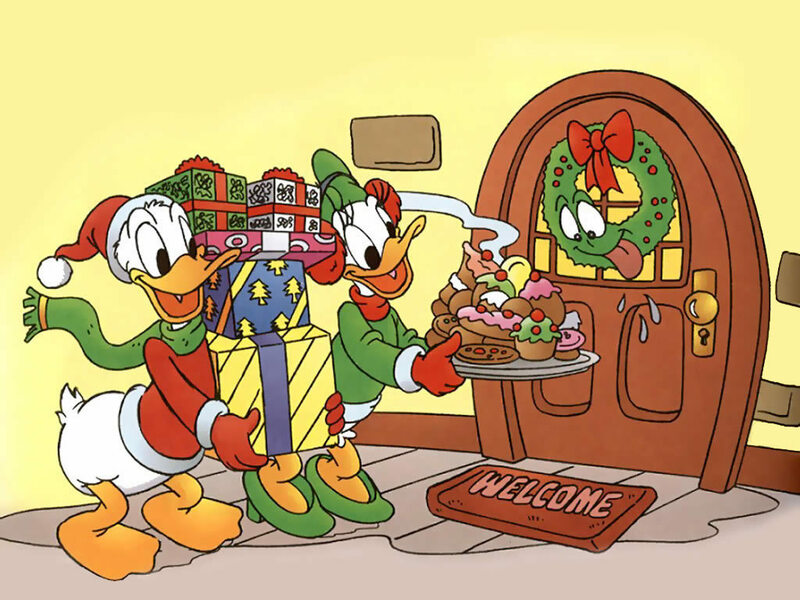 HD Wallpaper and background images in the Donald canard club tagged: disney donald duck cartoon. That wreath looks like he'll eat the goodies before they even get in the door! Sure they should be careful !